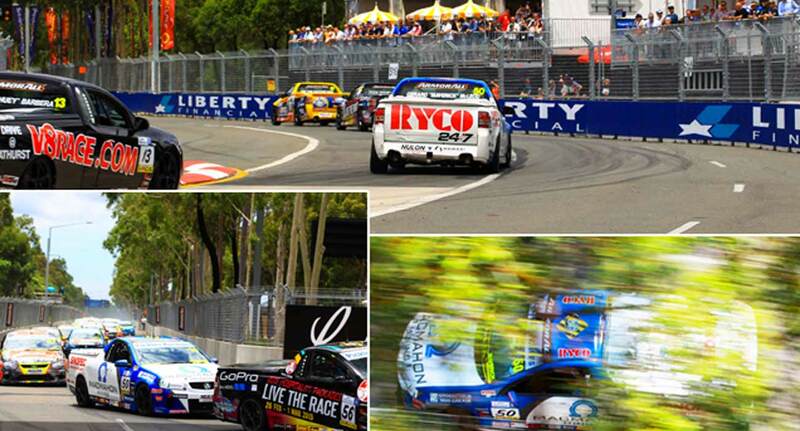 The Macmahon Racing team has endured a tough finish to the 2014 V8ute championship on the streets of Sydney’s Homebush Olympic Park but has come away with a list of positives to be proud of after its third season of racing. The weekend (5 – 7 December 2014) started fantastically for the team with consistent top 10 speed from the MAC UTE during Friday’s two 20-minute practice sessions leaving the team very confident leading into Saturday’s (6 December 2014) qualifying session. Saturday morning brought the ever important qualifying session and McLeod was instantly to the top of the time sheets in 4th overall. After a quick pit-stop to adjust tyre pressures McLeod tried to better his pervious time but was unable to after catching slower traffic ending the session in 10th overall only 0.9secs off pole position. Sunday’s Race 2 saw McLeod start in 29th position quickly making up 9 positions on the opening lap. The race was cut short due to a safety car period but McLeod was able to end the race in 13th overall passing and incredible 16 utes in just five completed race laps winning him the “DBA HARD BRAKER” award and $500 in the process. The No.50 ute also recorded the 4th fastest race lap of the race which was also very impressive. Race 3 saw the MAC UTE again start at the back of the field in 27th position and quickly move into 18th by the end of the first lap. McLeod then picked off ute after ute to finish a strong 15th in what was a very hot race for the 32 car field.